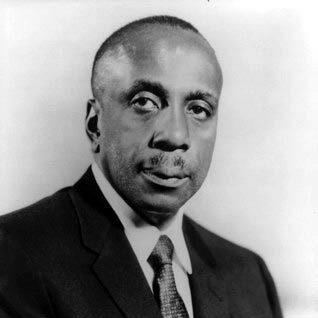 April 10, 1981 Howard Thurman, author, theologian, educator, and civil rights leader, died. Thurman was born November 18, 1900 in Daytona Beach, Florida. He earned his Bachelor of Arts degree from Morehouse College in 1923 and his Bachelor of Divinity degree from Colgate Rochester Theological Seminary in 1926. In 1929, he earned his Ph. D. from Haverford College. He was selected as Dean of Rankin Chapel at Howard University in 1932 and served until 1944, when he left to help establish the Church for the Fellowship of All Peoples, the first racially integrated, intercultural church in the United States. In 1953, he became the first black Dean of Marsh Chapel at Boston University where he served until 1965. A prolific author, Thurman wrote 20 books including “Jesus and the Disinherited” (1949), which greatly influenced Martin Luther King, Jr. In 1953, Life Magazine rated Thurman among the 12 most important religious leaders in the United States and Ebony Magazine called him one of the 50 most important figures in African American history. His autobiography, “With Head and Heart: The Autobiography of Howard Thurman,” was published in 1981.